Createspace Independent Publishing Platform, 9781974364077, 152pp. Not all goblins are bad. Ben is unlike any other goblin he's ever met. He was born different and because of that, he's spent his life as an outcast. So, he decides to try his luck in the city of Saint Louis, the nearby home of goblinkind's sworn enemy... humans. But will living with humans be any different or is Ben destined for a life of loneliness? 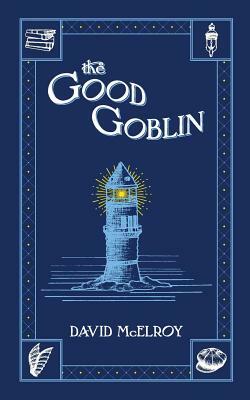 The first in a series of short novels set in Saint Louis in the early 1900s and based on the 13th century Latin tale, The Benevolent Goblin. David McElroy is a writer and designer who has been creating stories in one way or another since childhood. A chance pickup at an elementary school book fair began his fascination with goblins, and he's always believed they could be more than simple fodder for stalwart adventurers. He lives in Lebanon, IL with his wife and daughter. The Good Goblin is his first published work.